Wow, Disney is making all the money ever. Between the Marvel universe, Star Wars, and their deal with Pixar, the House of Mouse could easily start printing their own money and using it as currency... oh, wait. They've been doing that for decades. It's only legal tender inside the cartoon-Vaticans they've set up around the world, but still. Lots of folks forget that Disney already had a real license to steal with their prestigious lineup of in-house animated fare. And while the transition to 3D computer animation was a painful one for them, some enterprising folks in their offices have found a way to wring more money out of the old 2D art cells: live-action adaptations. We've had a Casting Call for one of these already, but the trailer for Jon Favreau's very action-y Jungle Book film has brought about a great realization that these films might make for great family-friendly action. So, while Maleficent and Cinderella tried very hard to take romantic fairy tales and turn them into fantasy epics, there are other Disney properties that are better suited to the crowd-pleasing adventure flavor. The first that comes to mind is the historical war epic Mulan. And Disney, naturally, has already announced that a live-action take on the story is in development. But who would be the ideal actress to play the ancient Chinese hero? If there's one thing the Internet has recently agreed on (via petitions and outrage at the rumor of Scarlett Johansson taking the role), it's that Mulan should be played by an actress of Asian descent, so here are my picks. Award-winning actress and recent producer of her own television series, "Jintai-Pan," Fan has been transitioning to mainstream Hollywood work the last few years. She was featured prominently in the Chinese cut of Iron Man 3, and had some cracking action sequences in X-Men: Days of Future Past as the short-distance teleporter Blink. 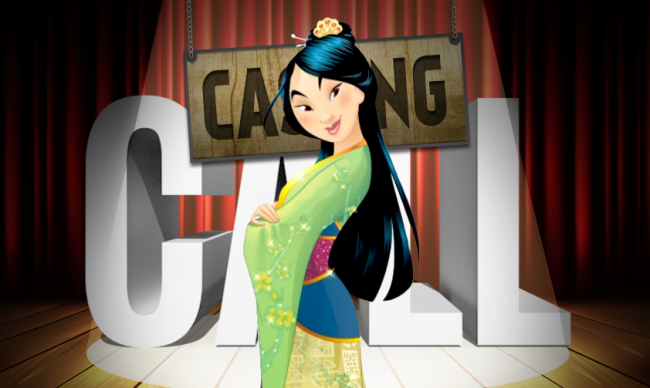 As Mulan, Fan would be very comfortable in period costume as well as filling the shoes of a national legend. She's played the famed ancient beauty Yang Guifei twice, and her reputation for groundbreaking garb around the world would ensure she could handle the traditional women's garb as easily as full battle armor. To boot, she's even a talented singer should this version carry over the fantastic songs from the animated original. Her Mulan would be extremely beautiful, but undoubtedly dangerous.